Despite new technologies, it’s not as easy as one might think. The Law of Market Failure suggests that 90% of new ideas will fail not long after they are launched. It doesn’t matter how promising the ideas are, how much work is put into them, or how well executed the launch is. Alberto Savoia, former Director of Engineering at Google has learned the truth of the Law of Market Failure first hand. He’s not delivering a foolproof system for launching a new idea in the market place. Rather, he tells readers that they must first decide whether their cherished idea is the “right idea” and whether or not this is the “right time” to put it center stage. Savoia has labeled the fear of failure at “failophobia”. He says that while companies like Google tend to have a high tolerance for failure, their employess are likely to choose working on already established successes rather than risk failure by attempting to achieve innovation. The Right It is an idea that, if properly executed, will succeed in the market place. But how do you know if your idea is The Right It? Well— it takes a whole book to share that information with readers. 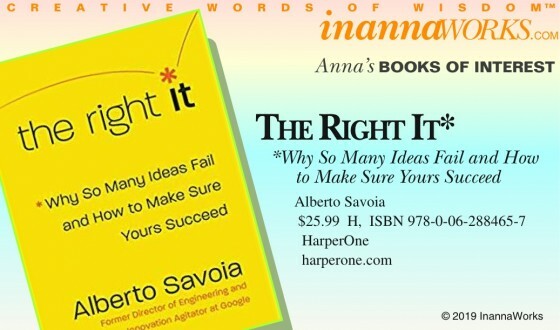 And while the book is filled with cutting-edge marketing science, Savoia’s style makes it understandable and useful to people who don’t regularly do business in Tech Speak. Learn how to determine if data is “fresh”, how to “prime” customers, why “skin in the game” matters, how to pretotype before prototyping, and why it’s important to “Think globally, test locally”. This is “the right book” for anyone who wants to rock the world with a cutting edge idea. It’s a daunting task but it can be done. Savoia spells out how it can be done in realistic terms. SHOP FOR THE BOOK. When we recognize the sacredness of each moment, miracles happen. This sentence, from the Introduction to this book, sums up Ingerman’s ideas about ceremony, shamanism, and spiritual guidance. Four pages later, when she wrote that “the practice of shamanism is … based on helping the community survive” I was suddenly taken back to the aftermath of 9/11 in Manhattan. Every healing practitioner that I worked with, no matter what system they followed, found a way to use what they had learned to help our city survive and heal from that trauma. From the people who took groceries to the rescue workers at the site, to the healing practitioners who offered healing (in whatever form they practiced it) in tents next to the morgue, to the millions of people who prayed for the rescue workers and for the safe passage to the other side for those who died that day, it was the kind of ceremony that Ingerman is encouraging readers to adopt. Gone are the days (when I first began to do this work) of investing power in a teacher who claims to have secret wisdom that the rest of us are not worthy of receiving. 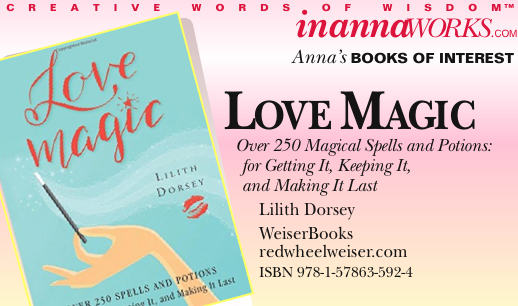 Instead, Ingerman tells us, “the key … is to unlock your intuitive knowing that invites the power, vibration, and frequency of words and phrases …”. Don’t get me wrong. There is plenty of left-brain information in the book (Gathering Materials, Setting Up an Altar Creates Sacred Space, Working with Earth, Air, Water, and Fire, and Interpreting Omens and Signs are just a few of the subheads). But she tells us that the shaman’s job is to hold a clear space and encourage participants to focus on the feelings that they have rather than trying to gain a rational understanding of what’s going on. Are you trading your time for dollars? FIRE (financial independence, retire early) is a community of people at all income levels who have become disillusioned with chasing the next, most expensive thing at the cost of quality of life. 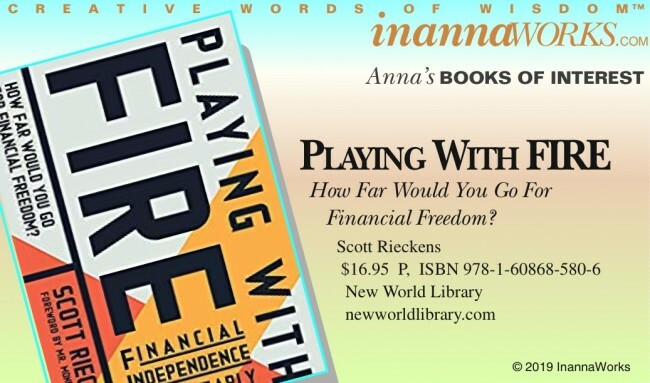 Rieckens tells readers that the end goal is to have enough passive income so that we won’t have to work to pay bills. He’s talking about living simply, NOT retiring. What FIRE offers is freedom, not disenfranchisement. The core principle is spending less, something that is surprisingly possible if one is willing to give up the illusion of status and find pleasure in what is actually being utilized rather than in the amount of money spent on something (“lifestyle creep”). FIRE is a seriously organized system based on years of experience, but one of the key points is that it’s flexible. One doesn’t have to show up for meetings or swear allegiance to gain the benefits. The system is adaptable. It’s meant to be customized. How do your food choices affect the world? Readers beware. For those who are not used to vegan/animals rights content, some of this book might prove to be unsettling. That is, however, part of the point. Many of us like to think of vegan as a lifestyle choice. For many vegans it is also a chance to vote with their wallets for a kinder, more accountable world. Just last year, I decided to spring for the extra $$$ to buy eggs labeled “cage-free”. This book told me that cage-free chickens are often still warehoused in crowded spaces with no access to daylight or fresh air. As a non-vegan (I do love my cheeseburgers) I admit it all seems too much to worry about. And don’t we all have enough to feel guilty about already? While initially unsettled by the things I read in this book, I am glad to have the opportunity to consider what’s really at stake here. And these authors have taken non-vegans into consideration in very insightful ways. The fifty vegan recipes in the book incorporate alternatives for “aspiring vegans”. They recommend an app to help readers buy chocolate that does not rely on child labor/slavery for production (I can do that!). I will have to work my way up to using non-dairy creamer in my morning coffee, but it’s now on my list of things to research. Is Paris still Paris? Is “je ne sais quoi” still alive and well? According to Jamie Cat Callan the answer is a big OUI. And she makes a convincing argument for her case in this delightful and informative book. 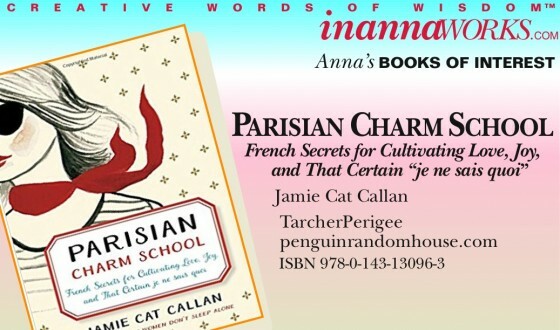 The book not only takes us to the secret places where Parisian charm still thrives, but it also introduces us to the people who keep the mystique of it all alive. Don’t think for a minute that the secret is designer clothing and expensive food. It is the people (mostly women) who keep the charm of Paris renewed and growing. Callan is after insight not tourist/marketing data, and that’s what she finds. You might be surprised that there are chapters on reading, thrift-store shopping, and home cooking in addition to the chapters on flirting, dancing, flowers, and personal style. How do you welcome souls into the world? The impact parenthood has on an individual’s soul and psyche is often ignored as everyone involved focuses on the physical events and effects of welcoming a new soul into the world. 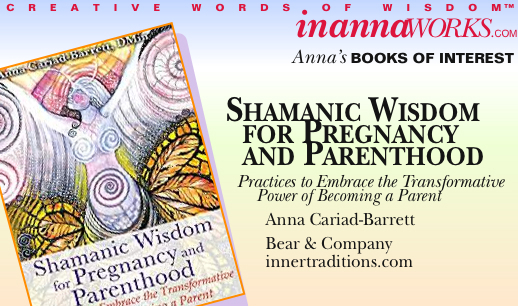 This book highlights a holistic approach to parenting with a special emphasis on the spiritual growth that moves people into fully realizing and embracing the experience. 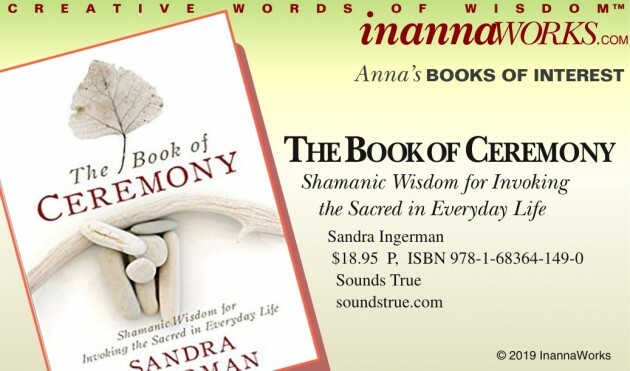 The Introduction contains a beautiful summary of Shamanic principles. 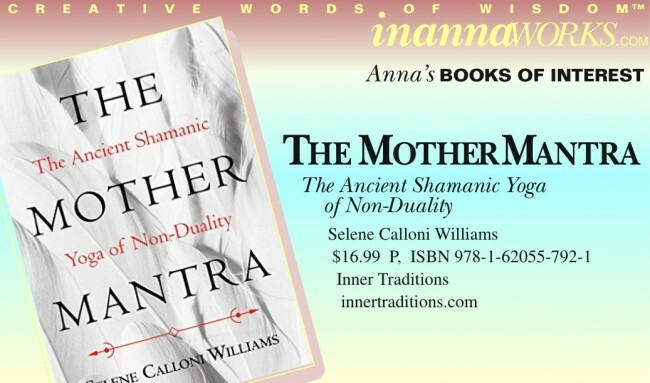 The tone throughout the book is nurturing and respectful rather than dogmatic or invasive. The suggested goal is authenticity, not perfection, and parenting in connection with our spiritual core. And what can we learn from stones? This is a book of reflections on thirty years of shared experience. It began as teaching, teaching the children of displaced people (native Americans) whom Nerburn had less in common with than he had with the “newcomers” who had displaced them. He understood that to teach he must first learn. And he began to study the ways of those displaced people and their ancestors. What those people shared with him changed his life. 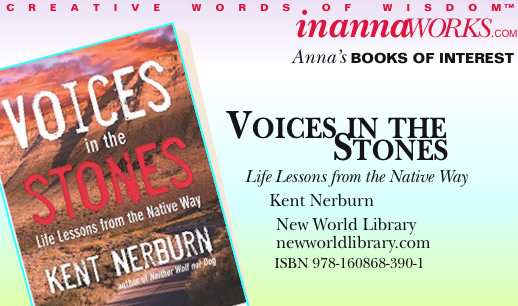 Nerburn documents his journey through a different culture’s traditions and spirituality with exceptional perception and objectivity. Owning his preexisting biases, he engages in the social structure of their environment (the reservation) as completely as he can. What do you want… REALLY? In a world increasingly filled with spells, rituals, affirmations, success strategies, and laws of attraction, Dorsey speaks with an amazingly rational, clear, and commonsense voice. Commonsense is in no way intended to imply commonplace. In these electronic, data-rich times, commonsense is often exceptional, not expected. Just think about the number of people you know who can’t place themselves spatially in relationship to an ordnary map. Take away their GPS and they are hopelessly lost, like being cut loose in outer space. Dorsey is a voice of reason, connecting to the many layers of reality in which we live, showing us how to take our power back in the material world. Sexuality is the sub-current which threads the spells in the book together, but it is always elevated, never denigrated, in service to the greater goal/good. As evidence, she begins with loving and respecting ourselves. What do we really want? It’s a question for which she won’t accept a flip, media-generated answer. Dorsey is a trained anthropologist and uses spells with an historical tradition, or lineage, whenever possible.She brings a multi-cultural experience to these workings. She includes a chapter on good old-fashioned passion/lust and leaves the appropriate context up to the reader. This is followed, quite naturally by chapters on hand-fasting (commonly referred to as marriage) and fertility (love/attraction is after all a by-product of survival of the species). There are also less self-serving spells for other people, other species, and for universal well-being. How healthy are vegetables anyway? Really? According to “Angel Lady” Virtue and raw foods pioneer Ross, they’re as healthy as the current buzz says they are. 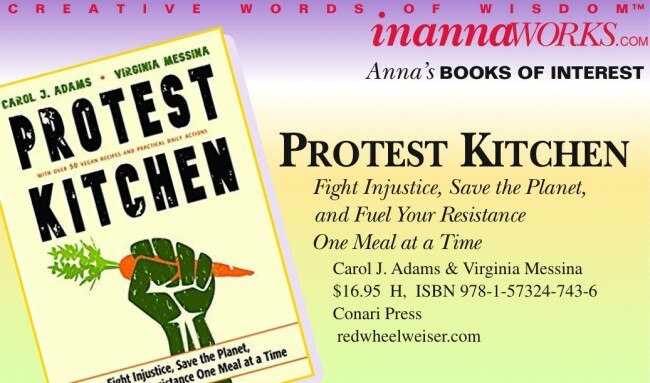 These successful, health-conscious mothers spell it out in clear, reader-friendly language, with a few simply-designed charts and without any political rants or judgements. 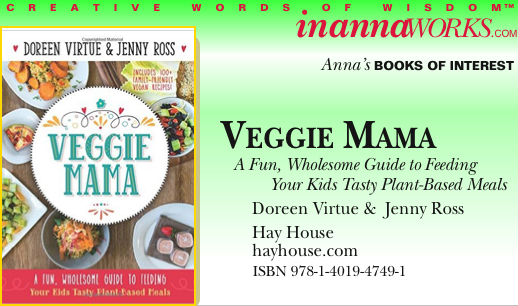 They begin the book with their family stories, just to let readers know that they’ve actually fed vegetable-based diets to their own children. It’s not a “you should” book. It’s a “this is what worked for me” book. And it’s inspiring. In a world of constantly-marketed “nuggets” and “burgers”, labeling a vegan recipe as “family-friendly” will seem like a pipe dream to a lot of modern parents. These two authors, however, deliver what they are promising, with eye-catching photos and lively copy. From “Power-Up Breakfast” through “Go-To Snacks” to “Plant-Powered Entertaining”, this one moves healthy cooking up a notch, with more than 100 exciting plant-based recipes.